Talks of a March 5th deadline are misleading and wrong. The deadline is now. The repeal of DACA has created an urgent crisis. More than 11,000 Dreamers have lost their work permits and deportation protections since President Trump eliminated the DACA program on September 5th, and 122 more will continue to fall out of status every day until Congress passes a permanent legislative solution to protect them. After March 6, 2018, that number will skyrocket to roughly 1,700 Dreamers who will become priorities for deportation every single work day. This follows on the more than a dozen members who called for Congress to pass legislation this year. During that press conference, Republican Congressman John Faso said that there would be over 300 votes to support legislation to protect Dreamers. Earlier this week, 34 House Republicans sent a letter to Speaker Ryan calling for protections for Dreamers to be passed this year. The letter was widely covered and helped demonstrate the bipartisan support for helping Dreamers. The Dream Act has broad bipartisan public support: In poll after poll, the American public favors permanent legalization for Dreamers. Passing the Dream Act would add at least $281 billion to the U.S. gross domestic product (GDP) over a decade, and as much as $1 trillion over a decade. Removing DACA-recipients (or ending DACA) would result in a loss of $460.3 billion from the national GDP over the next decade. Ending DACA means that between March 6th & November 6th of 2018, the U.S. will lose 300,000 jobs. 800 companies have called on Congress to pass legislation supporting Dreamers, including War-Mart, Target, and PepsiCo. You may remember that I asked for your support to help us represent people who are in immigration removal proceedings. Your support helped reunite a family on Thursday. 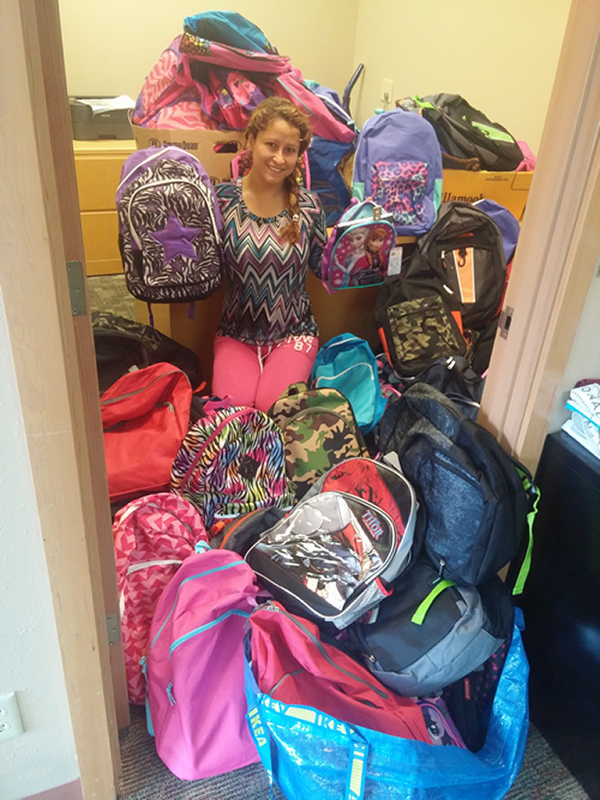 Aurelina came to KIAC asking for help in September. Late last year she, her husband and three children fled persecution in the form of violence, severe discrimination, and extortion in Guatemala. They had been preyed upon for ten years by a gang, suffering repeated death threats and beatings because of their Mayan heritage. Upon reaching our border they were placed in removal proceedings, meaning our government wanted to send them back. 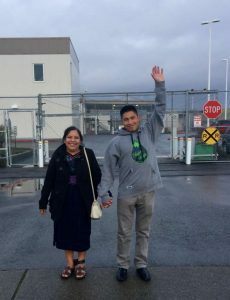 ICE arrested her husband, Cristobal, when the family went to their monthly check-in in September and took him to the Northwest Detention Center in Tacoma for expedited removal proceedings. As soon as we heard about this we filed to be Cristobal’s legal representatives and filed for him to receive a credible fear interview to establish the veracity of his persecution. We represented him in his interview and the asylum officer validated his claim. That was just the first step. He would still have to appear before an immigration judge who would determine whether or not to deport him. and advocates around the country we filed a 225-page trial brief. 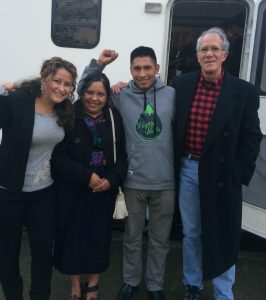 On November 30th in a courtroom at the detention center, we argued his case for withholding of removal. The judge ruled in Cristobal’s favor! His case was so strong the government decided not to appeal it, so the judge’s order was final. At 4pm that day Cristobal walked out of the detention center into the arms of Aurelina. Shortly after, he was reunited with his children. Because of your support we accessed training that enabled us to represent Cristobal, secure his freedom, and reunite him with his family. 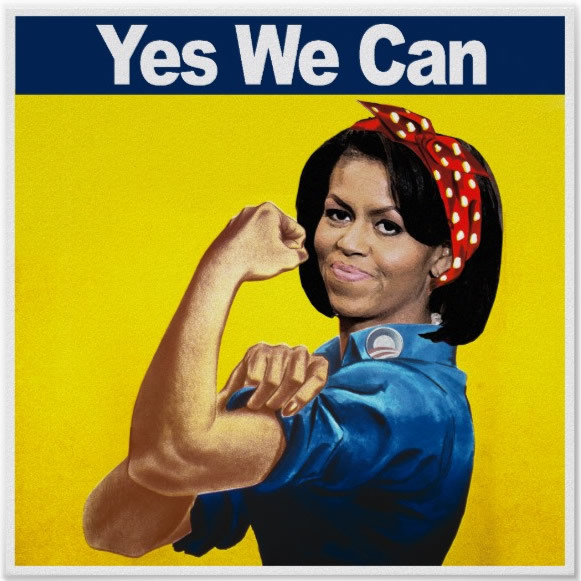 But our work is not done. Aurelina and their three young children are in removal proceedings and we will apply for and represent them in their asylum hearing. We won’t rest until they have all been granted justice. Currently KIAC has only one representative who can represent people in immigration court. There are so many more people who have no representation. We want to help as many as we can. We want to tell you many more stories like Cristobal’s. You can make the difference. There are so many people like Cristobal and his family who need your support. This is a time of year when we reunite with our families to celebrate holidays. So as you gather with your family, think of the Lopez’s joyful reunion and those still yearning for one and give generously to KIAC to make more reunions possible. Thank you. ACTION – Stand With Detained Immigrants! When OneAmerica member Elizabeth first entered the Tacoma Detention Center in 2009, her heart sank. She saw an overcrowded, dirty cell filled with scared immigrants just like her – mothers, daughters, sisters and brothers. She felt outraged that a private company, the GEO Group, was profiting from their suffering. “It was very crowded and very dirty,” she said of her conditions in detention. “I felt like we were being treated like livestock. The guards used any opportunity to shout at and curse us.” Elizabeth described being forced to do manual labor at the detention center for $1/day and constantly fearing being placed in solitary confinement for arbitrary reasons. We know this isn’t right. And today, we have the opportunity to fight for justice for Elizabeth and the tens of thousands of immigrants currently incarcerated in immigrant detention centers. Act now and tell your representatives to pass the Dignity for Detained Immigrants Act! Sponsored by Representatives Pramilia Jayapal and Adam Smith, the Dignity for Detained Immigrants Act would end the use of for-profit immigration detention centers, stop arbitrary detention quotas and provide much-needed accountability to a detention system that has routinely been accused of terrorizing and brutalizing detainees. Elizabeth saw some of that behavior firsthand. Stories like Elizabeth’s are why we need the Dignity for Detained Immigrants Act. No one should go through what Elizabeth did, but every day, tens of thousands of immigrants do. Please join us in calling on our representatives to pass the Dignity for Detained Immigrants Act, and help ensure that our immigration detention centers are accountable, and that no one profits from the suffering of our communities. “ICE detention standards are well beyond the standards that even the Federal Bureau of Prisons has in terms of prisoner housing and care,” Kelly said. The Trump administration’s decision to cut the fiscal 2018 refugee resettlement ceiling to the lowest level since the program was created in 1980 marks a departure from the United States’ traditional leadership on refugee matters. In a new commentary, Migration Policy Institute Senior Fellow Kathleen Newland examines the 45,000 allocation for the fiscal year that begins October 1, and the security, fiscal, and other arguments advanced to explain the cuts. For more on the U.S. resettlement program over its history, check out this handy data tool that shows U.S. refugee resettlement ceilings and actual admissions by year since 1980. The Deferred Action for Childhood Arrivals (DACA) program freed hundreds of thousands of young people from the fear of being deported to countries which many of them don’t remember and where they would be in danger. It also gave them the ability to work legally and get an education. I have known dozens of these young people. They all shared one characteristic – hope. They believed they were in a country that cared about them and that was willing to take steps to give them the opportunity to become contributing members. And they did. They went to school, got jobs and started careers. They engaged in their communities. They were realizing the term that has been given to them – Dreamers. Over the last four years KIAC’s legal program has helped many young people realize this dream, and we’ve help them renew their status so they could continue this positive journey. Now the Administration has decided to exclude Dreamers in our country and has ended the DACA program. This action will have a devastating effect on the Dreamers, their families, friends, schools, and employers. While the authority exists to undo a previous president’s executive order, he could also let it continue. Instead he adds to the fear in the immigrant community by targeting hundreds of thousands of young people for deportation. We now ask the Congress to undo this heartless act and pass legislation that will restore protection to the Dreamers and provide a way for them to become full citizens of the United States instead of living in a political limbo. There are several bills in congress addressing this. We at the Kitsap Immigrant Assistance Center stand with our immigrant sisters and brothers and in this trying time we will provide support to the dozens of Dreamers in our community to help them through this struggle. 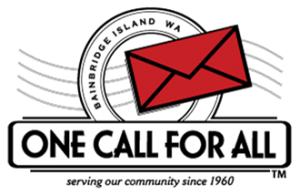 We encourage you to contact your congressional representatives: Patty Murray, Maria Cantwell and Derek Kilmer. Encourage them to support legislation that will undo this heartless political act. WASHINGTON, D.C. – The American Immigration Lawyers Association (AILA) condemned reported plans that the Trump Administration will end the Deferred Action for Childhood Arrivals (DACA) program with a six-month enforcement delay. This decision would leave the lives and dreams of nearly 800,000 hardworking DACA recipients hanging from the thread of an unspecified, hoped-for legislative solution. Congress has several legislative alternatives to consider, such as the American Hope Act and the Dream Act, which have been introduced by Republican and Democratic leaders in Congress that would protect the Dreamers. The President should endorse these proposals and ensure a solution is passed before terminating the DACA program. “As a former immigration judge in New York, I have come to understand a difficult truth first-hand: Far and away, the greatest obstacle to administering justice in immigration proceedings is the fact that, unlike in criminal proceedings, people have no right to an attorney. Which means that every year, across the country, thousands of immigrants — most of whom are hard-working, taxpaying, contributing members of society — face the prospect a lifetime of exile from their homes, families and livelihoods in the United States without the aid of counsel. It is hard to overstate what an obstacle that lack of representation can be for those immigrants. The Department of Homeland Security, the agency representing the government, has attorneys prosecuting every immigration case — which is why they win, almost every time, when the immigrant has no lawyer. Yes, judges have the obligation to aid unrepresented immigrants by explaining their rights to them and informing them of potential relief from deportation But a judge is not an advocate and cannot investigate the facts of the case, interview witnesses, assemble exhibits and research legal arguments — all of which a competent attorney does in the course of representation. Under these circumstances, especially when taking into account frequent language barriers immigrants face, it is impossible to level the playing field where one party has no lawyer. This situation took a dramatic turn for the better in 2011, at least here in New York City. That year I joined the steering committee of an ambitious project to improve access to justice for immigrants facing deportation in New York City. We developed a blueprint for what became the New York Immigrant Family Unity Project — the nation’s first public defender system for detained immigrants. Over the last three years, NYIFUP has guaranteed that every indigent immigrant who is detained and facing deportation in New York City will have a city-funded lawyer. I witnessed a sea change in the quality and quantity of legal representation in the detained court. KIAC partners with the Northwest Immigrant Rights Project to provide needed legal services to vulnerable immigrants. The Justice Department’s action is a threat to all of us. We are inspired by you, our community of supporters, who welcome and assist them. 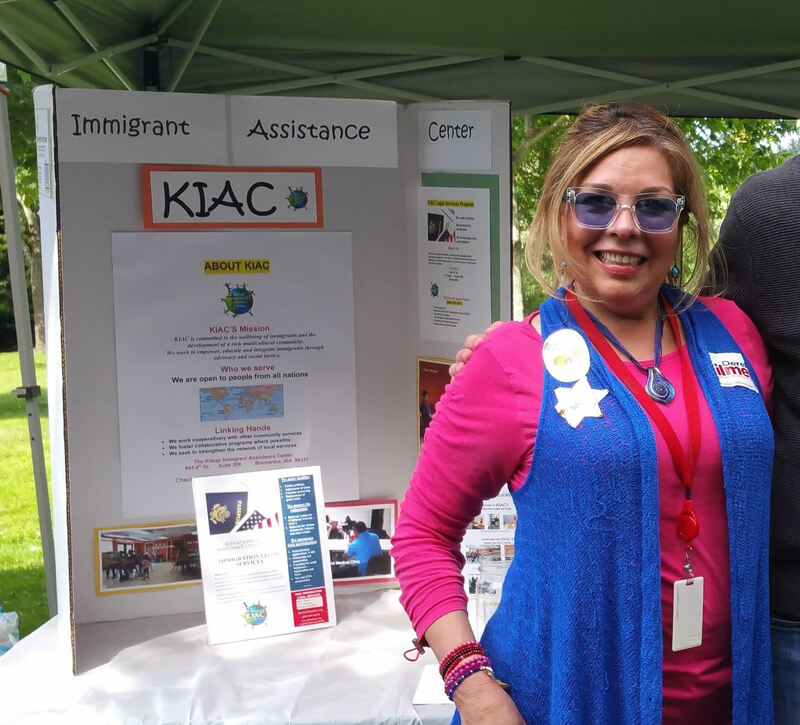 KIAC’s programs to help immigrants overcome the multiple challenges they face depend on this support. It is more than just the financial support that keeps our programs moving. It is knowing that we have a welcoming, supporting community surrounding us. Policies that attempt to punish cities for trying to promote safety are severely misguided. We all want safer communities, and cities with sanctuary policies do so to protect public safety. By maintaining positive relationships between local law enforcement and immigrants, communities become safer for everyone. Studies have shown that immigrants are less likely to report crimes or cooperate in criminal investigations if they fear potential deportation as the result of routine interaction with local law enforcement. We will continue to work with local authorities to support safety for everyone in our community. 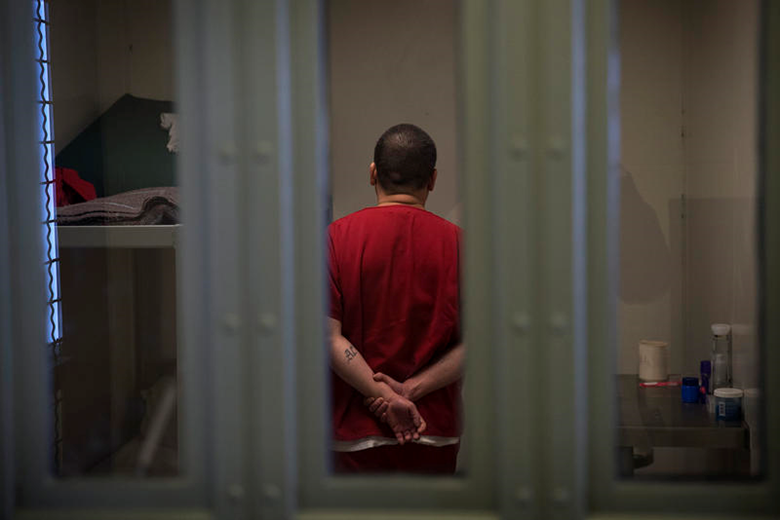 A commonality among cities that have adopted sanctuary-type policies is a desire to resist changes in the law that would require local criminal law enforcement agencies to do the federal government’s job of enforcing immigration laws. Many do this by preventing local officials from asking people about their immigration status. Other cities refuse to use local resources to detain immigrants. The main purpose for these types of policies is to comply with constitutional requirements and to protect public safety by maintaining positive relationships between local law enforcement and immigrant communities. More than two-thirds of unauthorized immigrants​ ​have lived in this country for more than a decade, and are important contributors to our communities, schools, and workplaces. Parents​ ​become​ ​less likely​ ​to send their children​—even U.S. citizen children—to school in areas that have seen heavy enforcement. All children have a​ ​constitutional right​ to attend school in the United States, and local officials should not take steps that undermine this cornerstone of the educational system. 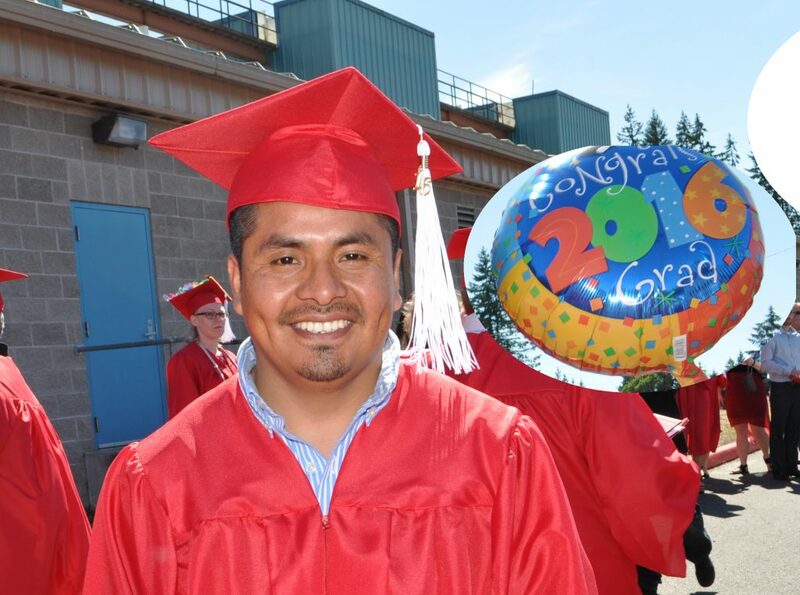 OLYMPIA — Washington’s community and technical college leaders sent President-elect Donald Trump a letter asking him to preserve an executive action that allows young undocumented adults to live and work in the United States without fear of deportation. The letter was signed by the nine members of the Washington State Board for Community and Technical Colleges and presidents and chancellors of the state’s 34 community and technical colleges. The letter responds to Trump’s campaign promise to end the Deferred Action for Childhood Arrivals Program launched in 2012. The program allows undocumented immigrants who came to the United States before they turned 16 to receive temporary protection from deportation. It also grants them eligibility for a renewable two-year work permit. When we got a call that the Bremerton Stake of the Church of Jesus Christ of Latter-day Saints had a few backpacks filled with school supplies to donate to KIAC we were very thankful. When they arrived we were blown away. The “few” turned out to be 100. As you can see, they filled one of our legal offices. And made two girls, as well as their parents, very happy. They are just the first of many. 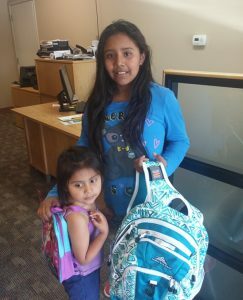 So many of the families we work for struggle to make ends meet and a resource like this really helps. Most importantly it helps the kids start the school year on the right foot. We are so appreciative of this donation and for the effort it took to put it together. It’s heartwarming to have the support of the members of the Bremerton Stake of the Church of Jesus Christ of Latter-day Saints. SILVER SPRING, MD—The Committee for Immigration Reform Implementation’s (CIRI) Advocacy Working Group released a report today chronicling existing successes of Deferred Action for Childhood Arrivals (DACA) and making recommendations that would enable greater participation. More than 725,000 people have been able to improve their lives since DACA was implemented, and DACA can still benefit nearly one million more individuals. CLINIC, a founding and steering committee member of CIRI, co-authored the report DACA after United States v. Texas: Recommendations for the President, which focuses on how DACA has helped improve the lives of recipients, their families and communities. The report comes at a crucial time for the administration in light of the Supreme Court’s failure to issue a definitive ruling in United States v. Texas. The ruling lead to an indefinite delay of the expansion of DACA and a similar initiative for parents. Tremendous misinformation about the status of DACA has followed. This report makes clear that the current DACA initiative, created in 2012, still exists. “We are happy to be able to issue a report at this time that notes the great success of DACA, one of the most successful humanitarian immigration initiatives to date. We also believe this report presents an opportunity to suggest to the administration ways it can keep that success going by further engaging other eligible populations and removing barriers to access,” said Jill Marie Bussey, CLINIC advocacy attorney and advocacy working group co-chair. Increase access and improve processing efficiency by allowing applicants to present diverse forms of evidence to prove eligibility. Make DACA more affordable by expanding access to fee waivers and allowing applicants to use credit cards to pay filing fees. Allow more flexibility and discretion in determining which applicants qualify on an individual basis. Keep DACA applications confidential and protect sensitive juvenile records. CLINIC supports a national network of nearly 300 immigration legal services programs. Over 90 percent of CLINIC’s affiliates provide free and low cost representation to tens of thousands of DACA applicants. The feedback from CLINIC’s affiliates formed the basis for recommendations contained in the report. Additionally, some of the DACA success stories in the report were clients of CLINIC affiliates in Austin, Texas, and Madison, Wisconsin. “The continued success of DACA relies heavily on faith and community-based organizations, like CLINIC’s affiliates. Their recommendations are based upon four years of experience assisting young people and families with DACA. This report honors their work and is forward-looking with an eye to meaningful improvements,” said Bussey. Our former board member and Friend of KIAC, Mateo Santiago Antonio graduated from Olympic College today. You can learn about Mateo’s journey here. KIAC Immigration Legal Services is dedicated to helping immigrants integrate into our community. 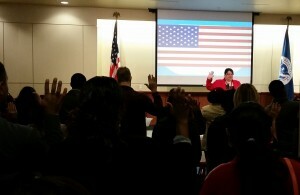 Our Citizenship Program will help you apply to become a citizen. Our services are very low-cost or free. Click here to make an appointment. 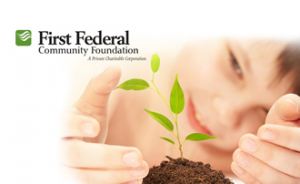 Our family services center provides a myriad of services and referrals. Learn more about these services here. 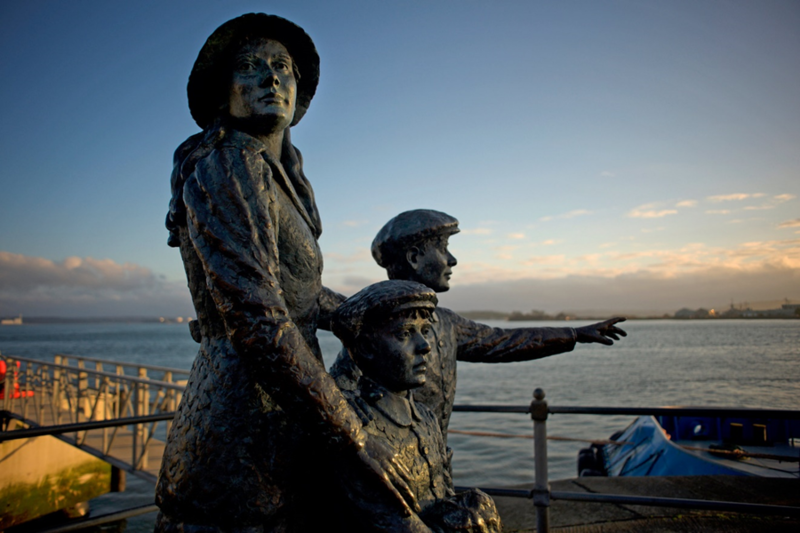 Our legal program is BIA recognized and provides a variety of immigration legal services. Learn more here. Monetary gifts to KIAC are crucial for the Center to continue to provide services and programs to families in need. Your gift can make a difference in the life of a parent or child in our community. The Kitsap Immigrant Assistance Center is a 501(c)3 non-profit organization. All gifts to KIAC are tax-deductible. To make a gift, click on the button below or contact our Treasurer, Ray Garrido, at his email address. Please consider making a monthly gift. By doing this you’ll greatly help us to continue to serve the aspiring Americans in our community. Just click on the Donate button at the top of the page.